Law enforcement officers across the country are undergoing intensive active shooter training sessions. In many cases, these trainings are in conjunction with local fire departments. With the unfortunate increase in violence in schools and public places, it is no surprise that these sessions will be a key focus for all law enforcement agencies in 2019. 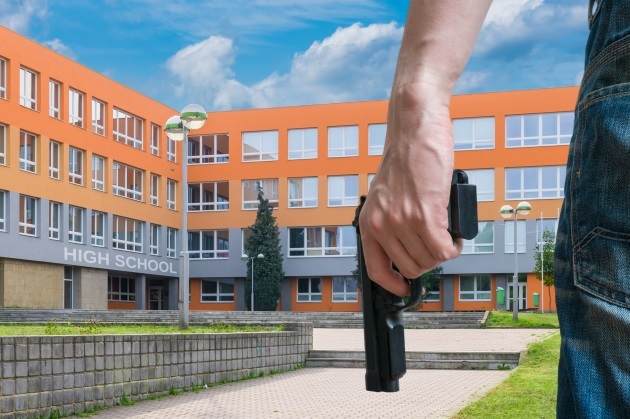 Recent active shooter incidents and their tragic consequences have been sobering learning experiences, but experts are using those experiences to create preventive programs. They have extracted and analyzed data from after-action reports and officers involved in the cases. The analytical reports are used to develop improved, faster and better ways for first responders to respond to an active shooter scene. Two of the critical things addressed in the analyses are response times and training officers to respond alone to the threat. Time is of paramount importance because waiting for backup to arrive or waiting for SWAT teams often gives the shooter more time to cause havoc. At the same time, officers going in alone without such backup is dangerous as well. The new focus, therefore, seeks to address these two handicaps. Developing the Quick Action Deployment Team (QuAD) strategy is a part of this new approach and aims to initially send four officers in right away. However, it may have some limitations. In cities, where numerous police officers are just minutes away, QuAD works better than in rural areas which are more scarcely populated. For the latter, a single officer tactic may save more lives in an active shooter event. The QuAD system may also be challenging due to the lack of personnel and response times for backup officers. The single officer approach could help neutralize the threat faster, and special response courses geared towards them are now being offered in multiple regions. A combination of classroom and scenario training helps officers prepare for an active shooter situation in a school, mall or other public areas. Training for School Resource Officer (SRO) and officers close to an attack are two of the key segments in such a training program. Group training focuses on triangulating and bounding a hostile suspect or active shooter so that they don't have one large target to engage. Instead, these powerful and deliberate tactics will overwhelm the shooter from all sides and intercept them faster. Police officers and state troopers in Pennsylvania, Indiana, and Virginia recently underwent training exercises in simulated situations with an active shooter. Law enforcement in Vermont held a multi-agency active shooter training. They were taught the skills to stay calm, keep kids safe and what to do when they come face to face with the attacker. Another important aspect of the training is what cops should tell their families about active shooters. Victims are not always strangers. Keeping a calm and objective mind is important in such situations, and they are being trained for that as well.